Situated in south-eastern Europe is the beautiful nation of Romania. More than 19 million residents call this lovely country in the Balkans home. Romania is best known for its magnificent castles, stunning landscapes, energetic cities and serene towns. The top attractions include Herăstrău Park in Bucharest, Unirii Square in Timișoara and the Botanical Garden in Cluj. Start preparing for your next holiday, because cheap flights to Romania are available for a limited time! The capital, Bucharest, is home to Henri Coandă International Airport (OTP), a 35-minute drive or a scenic 45-minute train ride from the city centre. Get a glimpse of Romania’s history and discover the landmarks that inspired literature. 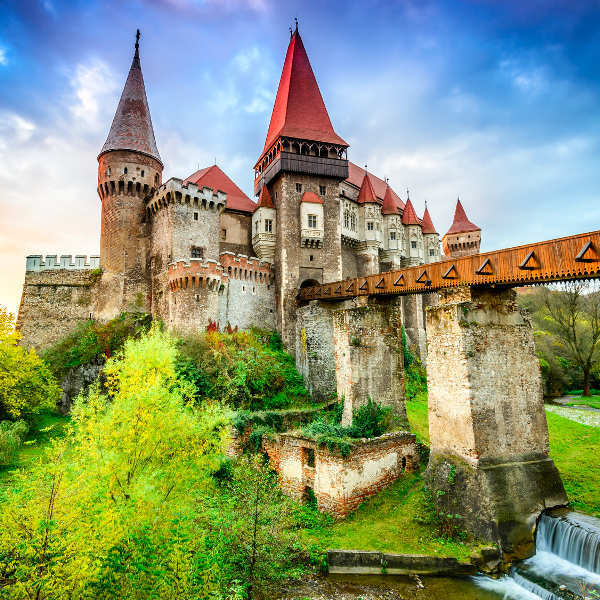 Some well-known architectural structures are Bran Castle near Bucharest, Corvin Castle in Hunedoara, and Făgăraș Citadel in Făgăraș. The incredible countryside of Romania invites you to explore the country’s gorgeous landscapes. Discover many charming locations, including Piatra Craiulu National Park, Bigar Waterfall and the Danube Delta Biosphere Reserve. Allow yourself the pleasure of relaxing at one of Romania’s many beaches. 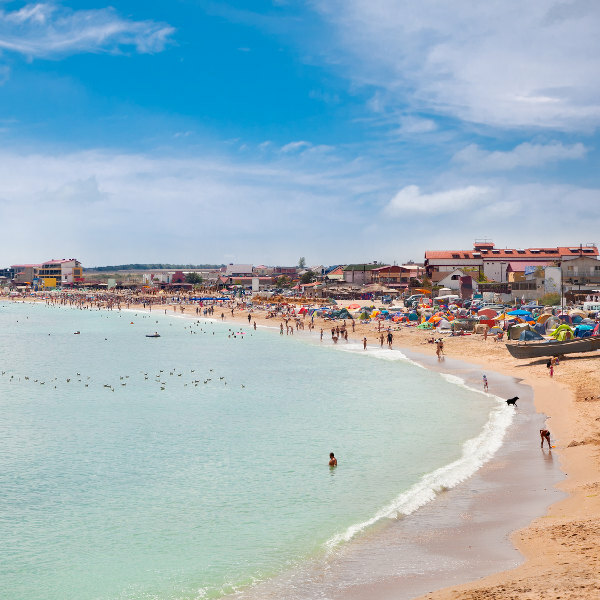 The coastal hotspots of Mamaia, Plaja de Carte and Corbu are ideal for sun tanning and swimming, and in summer they provide the scene for all-night parties. With summer (June – August) providing the best weather in Romania, the country’s beaches, castles, museums and parks are at their busiest. If you can handle the crowds, make sure to book your hotel rooms well in advance and be prepared for high accommodation rates. Avoid the peak tourist season in Romania by visiting during spring (April – May) and autumn (September – October). Temperatures range from moderate to warm during these months. Some of the museums, monasteries and attractions usually have shorter hours or are closed. The latter part of May is the perfect time to go birdwatching in the Danube Delta. Winter (November – March) is the quietest period in Romania. This changes between mid-December and early-March, when the snowfall reaches its peak, making this the best time to go skiing. The museums and castles in the smaller towns will only be open on weekends or close for the season. 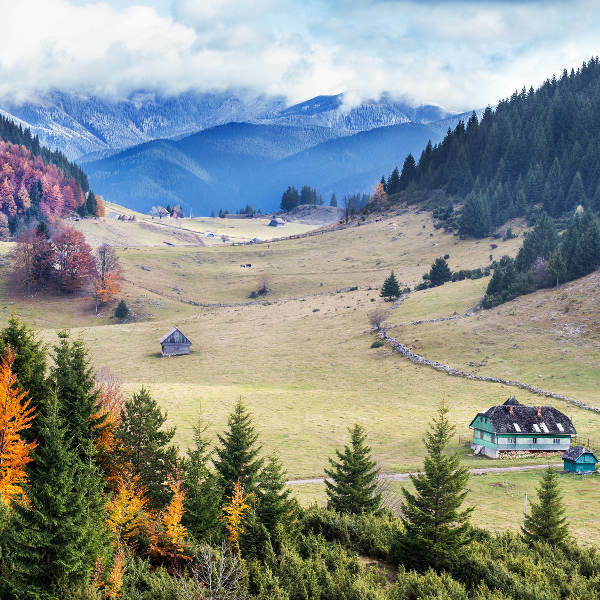 Romania is a charming nation of Europe, where you’ll find a wide selection of natural and historic treasures, as well as the contrasting atmospheres of its cities and towns. Discover the magnificent castles and palaces around the country, such as Bethlen-Haller Castle and Făgăraș Citadel. Have an adventure while exploring all the wonderful scenery around Romania, such as the Carpathian Mountains and the amazing Danube Delta. The capital, Bucharest, is home to the tremendous Palace of Parliament. This metropolis offers you its exceptional and contemporary centre, along with elegant sacred sites, such as the Coral Temple and Stavropoleos Monastery. Immerse yourself in Bucharest’s history and culture with a visit to its museums, including the Spring Palace, and rejuvenate your senses in its many parks, such as Cismigiu Gardens. Cluj is where you can enjoy the bohemian lifestyle with its variety of cafés, music festivals and vibrant nightlife. Make sure to check out the Church of Saint Michael, the second largest church in Romania. Admire the creative works at galleries such as Plan B, and get picturesque views over the city from Cetatuia Hill. Discover the alluring home of Romania’s performing arts in Timișoara. Explore this destination’s beautiful urban spaces, which sit around public squares and lush parks and gardens. Be sure to go on one of the numerous cultural tours around the city, while day trips will take you out to the enchanting Danube’s Gorge. Compare several airlines and book your cheap flights to Romania online at Travelstart! Check with your doctor about getting all the necessary routine vaccinations before departing for Romania. Additionally, depending on your activities while abroad, you may need vaccines and medication for hepatitis A (spreads through contaminated food and water), hepatitis B (spreads through sexual contact, contaminated needles and blood products) and rabies (spreads through the bites of animals). While exploring the cities and towns of Romania, avoid dimly lit areas. If you are lost, the locals reportedly go out of their way to be helpful, so you are encouraged to ask them for assistance. Make sure to reject any offers on the streets, as prostitution and solicitation is illegal in Romania. If caught with any individual involved in such business, especially if that individual is underage, you will be charged with a crime related to human trafficking and sexual assault. There is a large population of wild animals in Romania. If you encounter any bear cubs or other young animals, make sure to avoid them and leave the area immediately, as interacting with the young will result in getting attacked by the adult. When camping, do it in the open rather than under the trees to avoid encountering bears.